The famous Can-Can needs no introduction to students because of its use on commercials and cartoons. 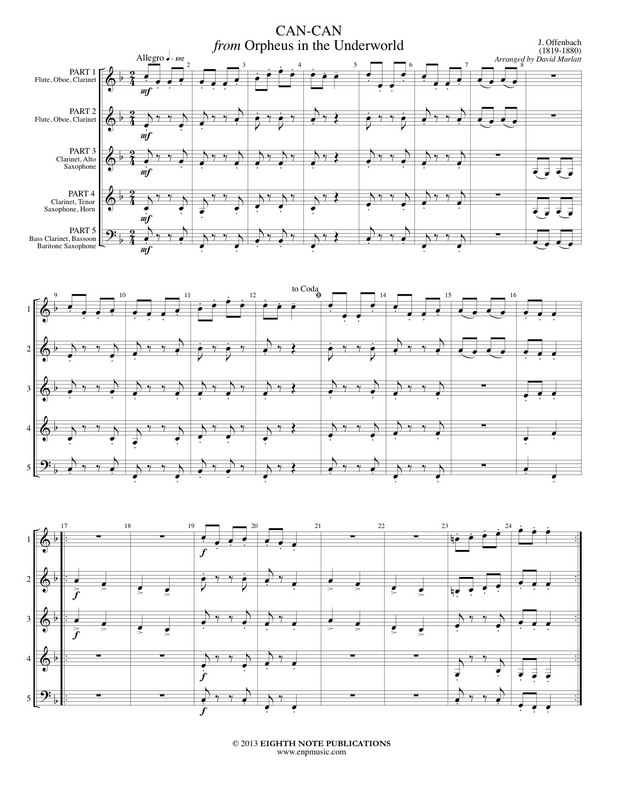 This arrangement for developing woodwind ensemble is limited in range and technical requirements. Players in the first year or so on their instruments could tackle this famous melody.